Mayets are delighted to present for sale this beautifully presented three-bedroom family home in the popular area of Intack. Ideal for a couple, or a young or growing family. 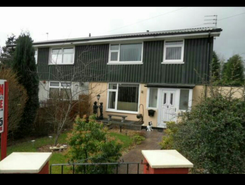 Close to good local schools, town centre, motorway links, bus routes and local amenities. Mayets are delighted to present this immacula presented deceptively spacious three-bedroom property in the much sought-after area of Audley range. 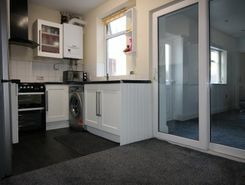 Close to good local schools, mosques, town centre and local amenities.Ideal investment with sitting tenant or can be sold with vacant possession. Mayets are delighted to present for sale this well presented spacious five-bedroom end-terraced family home over three floors with solar panelling providing substantial savings in this well sought-after area. 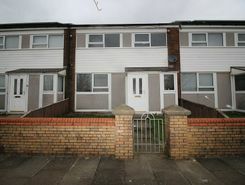 Close to local mosques, good schools, town centre and local amenities. Mayets are delighted to present for sale this newly renovated and well maintained ready to move into four-bedroom family home with no chain in the much sought-after area of St James'. 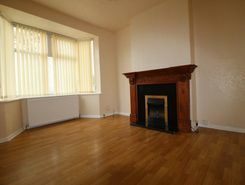 Close to good local schools, nursery, mosques and local amenities. Ideal for a couple or a young or growing family. Mayets are pleased to present for sale this stunning fully renovated, luxurious four-bedroom contemporary family home in this much sought-after area. The property has undergone substantial renovation to a very high specification with no expense spared and is brand new and ready to move into. 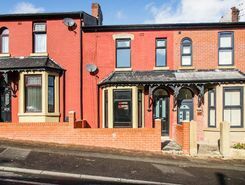 Property website TheHouseShop have used their expert knowledge of the Blackburn in Lancashire property market to help buyers, sellers, tenants and landlords save money when advertising and searching for property available online. Property marketplace, TheHouseShop.com, showcases property listings from private landlords, private sellers, high street agents, online agents and developers – meaning that tenants and buyers can find a unique selection of property from both professionals and homeowners. Homeowners can choose how they want to sell their property and can list with a traditional agent, online-only agent or sell their property privately with TheHouseShop. 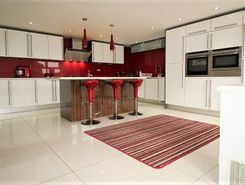 Blackburn in Lancashire homeowners can save thousands by selling their home online with TheHouseShop. More and more people have been using the internet to sell property privately in Blackburn in Lancashire. TheHouseShop can arrange a free professional property valuation from a local property manager with expert knowledge of the Blackburn in Lancashire market – helping you to set the perfect price for your property. Homeowners can choose from a number of marketing add-ons to boost their property advert and sell or let their property faster. Thanks to TheHouseShop, homeowners in Blackburn in Lancashire can save time and money by advertising their properties to thousands of motivated users on the UK's leading property marketplace. TheHouseShop are on hand to help private landlords and private sellers in Blackburn in Lancashire to advertise their properties. Thousands of Blackburn in Lancashire estate agents are benefitting from TheHouseShop's free property advertising as well, giving them huge exposure to an alternative audience of home hunters. TheHouseShop's unique mix of properties in Blackburn in Lancashire have attracted huge numbers of home hunters looking to buy houses, flats, apartments, bungalows, penthouses, family homes and more. 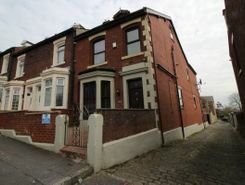 TheHouseShop's unique mix of professional and private listings means that you won't find their Blackburn in Lancashire properties on other major property websites. Visit TheHouseShop during your property search and make sure you don't miss out on your perfect home by signing up for our free property alerts and email updates on new listings. If you are looking for an estate agent in Blackburn in Lancashire, TheHouseShop can help you compare the best local agents in your area to sell your home quickly and achieve the best possible price. Millions of home hunters come to TheHouseShop.com each and every month looking for property for sale in Blackburn in Lancashire and the surrounding areas. 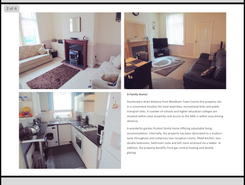 TheHouseShop specialises in the accessible property niche market and have a selection of adapted homes for sale available in Blackburn in Lancashire. 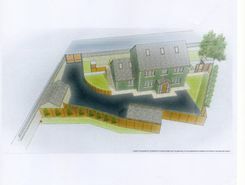 TheHouseShop showcases accessible properties and new homes for sale from some of the foremost property developers in Blackburn in Lancashire. Home hunters will find a wide selection of cheap homes for sale on TheHouseShop website. People looking for cheap property and affordable new homes for sale can find property in Blackburn in Lancashire available through Shared Ownership agreements. Buyers can get an estimated house price for any property for sale in Blackburn in Lancashire by using TheHouseShop's free online valuation tool to find out how much any home is worth. TheHouseShop is here for everyone and anyone who wants to buy, sell, rent and let property in Blackburn in Lancashire, so don't miss out and visit us today!